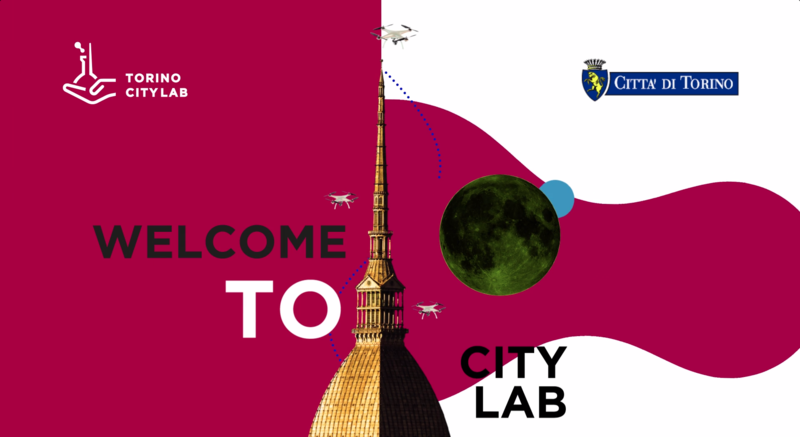 Torino City Lab (TCL) is an initiative-platform aimed at creating simplified conditions for companies interested in conducting testing in real conditions of innovative solutions for urban living. Promoted by the City of Turin, it involves a vast local partnership of subjects from public and private sectors interested in supporting and growing the local innovation ecosystem. An open and widespread "laboratory of innovation" throughout the city area. TCL provides simplified access to public spaces and assets, including intangible assets (processes, services and data). TCL expands and strengthens relationships within the local innovation ecosystem, through an articulated partner system. TCL allows you to "scale the solutions", promoting them within networks and projects on a local, national and international scale. TCL aims to involve end users and citizens, promoting local challenges and supporting the active participation of interested communities through "Call for actions". Facilitate testing operations in real conditions of innovative solutions of public interest. The City of Turin will offer constant support to facilitate access and then facilitate the conduct of trials, in relations with Internal Services and Utilities. Positioning Torino at European and international level as a place where innovation is easier and is a shared challenge for the territory. Attracting companies from Europe and the world to engage new trajectories of economic development in sectors with high added value and to serve the citizens of tomorrow. The Values ​​of Torino City Lab are: agility, transparency, openness and social impact. To make Turin the "place" where experiencing tomorrow is a task of today! Agility in the execution of activities. Torino Living Lab is an initiative of the City of Turin created to promote, develop and test new innovative solutions in a real context. Citizens, companies and public administration explore and experiment together innovative products, technologies and services in a specific area of the city in order to test its functionality and utility for end users and assess the impacts on quality of life. In 2016, the City launched the first living lab on Campidoglio district, which thanks to the activation of 29 projects on different areas such as environment, mobility and tourism, has become the first urban space in Turin dedicated to innovation and smart city. With a second call launched at the end of 2016, the City has sought subjects to develop, test and promote mobile payment services for Registry Office’s procedures. In April 2017 the experience of the City of Turin is further enriched with the launch of the so-called “Living Lab IOT” with a focus on testing Internet of Things and Internet of Data solutions for the Smart City. A large number of companies answered the call: 31, of which about 10 were admitted to the testing phase and are now implementing the activities together with the City. Circular and collaborative economy are the focus of the Living Lab that the City of Turin launched last spring, within the AXTO Program for Suburbs development. In this case, there will be economic contributions for the 8 companies that are testing projects that are able to respond to the social challenges of the target areas. "Torino City Lab” is then an evolution of Torino Living Lab, with the aim of transforming the city’s territory into an always open living lab. Creating on one hand, digital and organizational tools to allow a more agile implementation of testing activities, on the other an ecosystem of local support subjects.